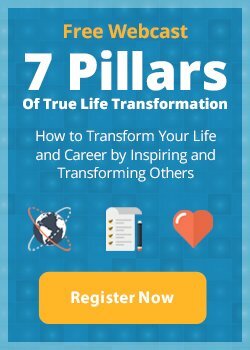 7 Principles of Success and Happiness That You Can Do Today! “Jack Canfield has made the study of success in one’s personal and professional lives his own life’s work. He has interviewed hundreds of successful people, read more than 3,000 books on success and given thousands of lectures on the topic. Now Canfield has boiled down everything that he has learned about success into his new book, The Success Principles: How to Get from Where You Are to Where You Want to Be. Some of those principles, such as the importance of goal setting, are well-known. Others are just as crucial but not commonly understood. 1. Develop four new good habits each year. Most of everything we do is based on ritual. We eat at certain restaurants… wear certain clothes… brush our teeth in a certain way… and watch certain TV shows simply because that is what we have always done. These are our habits, and we perform them without really thinking. Example: Instead of spending the hour after dinner watching TV, go for a brisk walk… study a second language… read a book… or make the extra sales calls that you need to advance your career. It takes a minimum of 25 days for the brain to build the neural links required to make a new behavior a habit. I suggest practicing a new habit for three months to ensure that it sinks in. Once it becomes second nature, add another new habit. At three months per habit, there’s time to add four each year. In five years, you will have 20 new habits that will help fuel your success. 2. Practice appreciation. Studies of employee motivation inevitably find that feeling appreciated is the single greatest motivator in the workplace, even ahead of higher wages. Yet many people fail to put the power of appreciation to full use in their business and personal lives. When you show people that you appreciate them, you not only make them feel better, you make yourself more successful. People are more likely to help you achieve your goals if they believe that you appreciate their efforts. There’s no downside — appreciation costs nothing, and no one has ever complained about being over-appreciated. Helpful: I used to carry in my pocket an index card with 10 circles on it. Every time I let someone know that I appreciated him/her, I filled in one of the circles. If at the end of the day I hadn’t filled in all 10, I sent out appreciative E-mails. After a few months, showing appreciation became second nature for me, and I no longer had to carry the cards. I haven’t had anyone leave my nine-employee company in more than five years. I attribute a big part of that loyalty to everyone feeling appreciated. If you follow this strategy, you’re encouraging people to help you become great. The main reason that people don’t solicit feedback is because they’re afraid of what they might hear — but the information we can obtain is worth facing such fears. Not all feedback is accurate, but watch for patterns and never get angry at the source, even if you disagree. 4. Keep all of your agreements. When you break an agreement, the person you let down loses faith in you and is less likely to want to work with you in the future. Even more important, you lose some faith in yourself. It’s all but impossible to become a success if you don’t have faith in yourself. To avoid breaking agreements, teach yourself to say no to things that you would rather not do. Then you won’t have to back out later. Write down everything you agree to do on your calendar as soon as a commitment is made — you would be surprised by how many people don’t do this. If you must break an agreement, let the other parties involved know as soon as possible, and do everything in your power to fix any problems that the broken agreement creates for them. 5. Exceed expectations. Don’t ask yourself, How can I get a little more out of this situation? Instead, ask, How can I give a little more to those around me? Sacrificing usually isn’t a sacrifice — it’s a path to success. If you consistently go the extra mile for clients, colleagues, employers, family and friends, you’ll earn their loyalty for life. Example: When UPS went on strike, David Morris, the owner of Dillanos, a small, Seattle-based coffee roasting company, rented a truck and drove 2,320 miles to deliver an order to a small client in Southern California. That client, It’s a Grind Coffee House, is now a large franchise with 50 stores and an additional 100 planned. It is Dillanos’s largest customer and has remained loyal to Dillanos because of the extra effort Morris put in years ago. 6. Reject rejection. Rejection does not prevent success — fear of rejection does. What stops a man from asking an attractive woman out on a date? What stops an inexperienced salesman from asking the most successful salesman at his firm for advice? They’re afraid of rejection — afraid that if they ask, the answer might be no. But there’s absolutely no rational reason to fear rejection. Example: You ask a successful person to give you career advice, and he says no. You didn’t have his advice before you asked, and you don’t have his advice after. You’re no worse off than when you began, so why be afraid of asking? If you want to be a success, you must treat rejection as an illusion — a negative response conjured up by your mind that really doesn’t exist. 7. Eliminate small obstacles. Make a list of the problems that you would like to remove from your life — include even minor things, such as a lamp that doesn’t work right. Schedule a day or two to fix as many of these problems as you can, starting with the easiest to solve. In this way, you’ll get into the habit of thinking, I know what I want, I know how to get it. Once you’re in this mindset, you’ll stop resigning yourself to your current situation and start making larger positive changes as well.